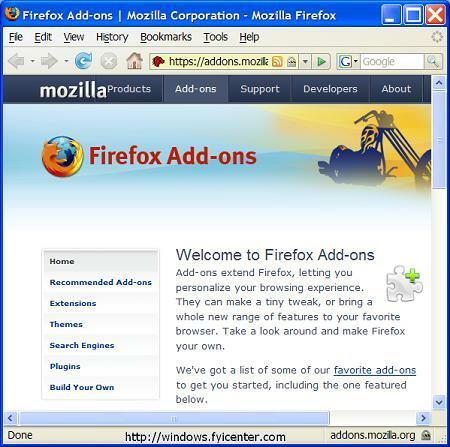 What are Mozilla Firefox 2 add-ons? Mozilla Firefox 2 add-ons extend the browser functionalities. Some add-ons allow you to personalize your browsing experience. Some add-ons can bring a whole new range of features to your browser. If you want try some Mozilla Firefox 2 add-ons, you can visit this Mozilla page: https://addons.mozilla.org/en-US/Firefox/. Browse and review the add-ons listed on this page. Try some of them.